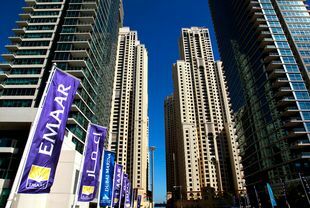 Emaar Properties on Wednesday announced plans to list its UAE real estate development business on the Dubai Financial Market (DFM) and will distribute the proceeds as dividends to shareholders, including the government of Dubai. The company will list up to 30 percent of its UAE real estate development business on the Dubai bourse, which it claimed to be the “largest since the Emaar Malls IPO in 2014”. No timeframe for the listing was given. In a statement, the developer said the decision to list Emaar’s UAE real estate development business was a result of an internal review of Emaar’s asset values, which indicated the importance of highlighting the value of this business as a major contributor to the overall profitability of Emaar through an independent listing. The company’s real estate sales in the UAE reached $3.92billion (AED14.4bn) in 2016 from $1.14bn (AED4.2bn) in 2012. Until end of May 2017, it recorded sales of $2.64b (AED9.7 billion), 24 percent higher compared to the same period last year. Total backlog – value of properties sold but revenues not recognised – reached $10.9bn (AED40bn) as of May 2017. Mohamed Alabbar, chairman, Emaar Properties, said: “The proposed listing and the additional dividend to our shareholders including government of Dubai underlines our commitment to provide superior value to all our shareholders for their unwavering support to the company since its inception in 1997. “Over the years, we have generated significant returns from our UAE real estate development business and it continues to be a strong driver of growth for the group. The developer has handed over around 34,000 units in Dubai since 2001. It currently holds a land bank of 24 million square metres (sqm) in the UAE that has a total development area of nearly 30 million sqm. in Dubai Creek Harbour, though a joint venture with Dubai Holding, and Emaar South, a lifestyle destination in Dubai South, the emirate’s aviation and logistics hub.